Jakarta Governor, Anies Baswedan said the first phase of Krukut River normalization is prioritizing river deepening. It is hoped could collect more water and minimize inundation.
" It is done since deepening can be done faster than widening"
"It is done since deepening can be done faster than widening," he said, Wednesday (11/15). Within 10 days, river depth has been added 2 meters through dredging. Thus current water level is lower than before. 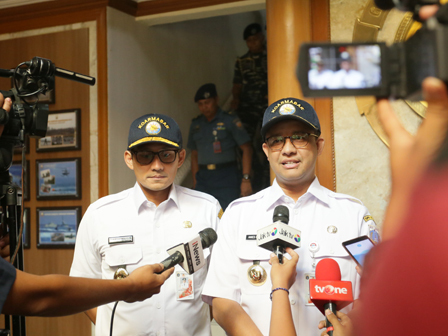 Anies admitted, buildings on the riverbanks is slightly hindering the dredging process since it is difficult for heavy equipment to reach the location. "We even need to demolish a building wall thus amphibi equipment can get in," he closed.